HOUSTON, Texas, December 9, 2011 (ENS) – Agrifos, a former phosphoric acid and phosphate fertilizer producer, has agreed to pay a $1.8 million dollar penalty and conduct an environmental project to resolve alleged violations of federal hazardous waste law. Violations of two laws – the Resource Conservation and Recovery Act and the Clean Air Act – alleged by the U.S. government include processing and disposing of hazardous wastewater without a permit and the improper routing of effluent from a scrubber through a cooling tower, according to the U.S. Environmental Protection Agency. The settlement will protect public health and the environment by reducing possible releases of hazardous wastewater into area waterways, the agency said in a statement. Today, Agrifos is a producer of sulfuric acid and ammonium sulfate fertilizer located in Pasadena, Texas on the Houston Ship Channel. “Today’s settlement will significantly reduce the amount of contaminated runoff flowing from the Agrifos facility into local waterways, including the Houston Ship Channel,” said Cynthia Giles, assistant administrator for EPA’s Office of Enforcement and Compliance Assurance. “EPA is committed to protecting the public from releases of hazardous wastewater at phosphoric acid plants,” she said. Under the agreement, Agrifos will spend $600,000 to construct a stormwater collection and containment barrier around its fertilizer production unit to eliminate or minimize impact on the environment. The containment structure will contain all spills and leaks from the fertilizer production unit and collect contaminated stormwater runoff from wet weather events for reuse in the production process. Based on the average rainfall at the facility, the containment barrier is expected to capture more than one million gallons of contaminated stormwater annually for reuse, the EPA says. Armendariz was referring to Texas, although he is responsible for managing EPA activities in Arkansas, Louisiana, New Mexico, Oklahoma, Texas, and 66 tribal nations. There have been four enforcement actions related to the Agrifos site in the last three years. In September 2010, Agrifos paid a $535,206 civil penalty to EPA for Emergency Planning and Community Right-to-Know, Superfund, and Clean Air Act violations at its facility. In November 2010, a settlement for $1.485 million was reached with Air Products, an adjacent chemical facility, to resolve violations which included the exchange of contaminated waste acid from Air Products to Agrifos. In September 2010, a settlement with ExxonMobil requires ExxonMobil to conduct extensive closure and cleanup work on the phosphogypsum stacks system at the Agrifos facility, which was previously owned by ExxonMobil under the name Mobil Chemical Company. ExxonMobil also agreed to pay a $100,000 civil penalty. And, in September of 2008, RCRA and Superfund orders were issued to ExxonMobil and Agrifos to address the release of contaminated wastewater from the gypsum stacks at the Agrifos site into the Houston Ship Channel. On Thursday the EPA released its annual enforcement and compliance results. By agency calculations, in fiscal year Fiscal Year 2011, EPA enforcement actions led to more than 1.8 billion pounds in pollution reduced, an estimated $19 billion in required pollution controls and approximately $168 million in civil penalties. “Our annual results reflect the fact that a strong and effective enforcement program is good for responsible businesses, public health and communities across the country,” said Giles. “As we continue our focus on the most serious pollution problems, we expect to see better environmental performance and greater public health benefits,” she said. Cases under EPA’s national enforcement initiatives focus enforcement and compliance resources and expertise on serious pollution problems affecting communities, she said. This effort has produced the majority of commitments to install pollution controls and led to settling important cases, such as the April 2011 settlement with the Tennessee Valley Authority, a federal government-owned and operated utility. 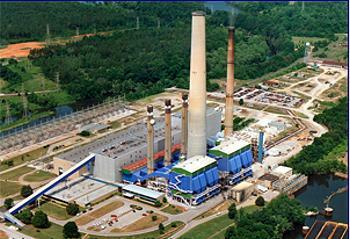 The settlement resolved alleged Clean Air Act violations at 11 of TVA’s coal-fired plants in Alabama. The new and upgraded pollution controls that TVA is required to install will prevent approximately 1,200 to 3,000 premature deaths, 2,000 heart attacks and 21,000 cases of asthma attacks each year, resulting in up to $27 billion in annual health benefits, says the American Lung Association.